This week was a big one for mobile game releases, with 2K releasing a companion game for its upcoming console title, Evolve, and Uken Studios releasing a twist on the traditional card battle genre with its game, Titans. Here’s a look at some of the other new mobile games, which hit app stores this week. 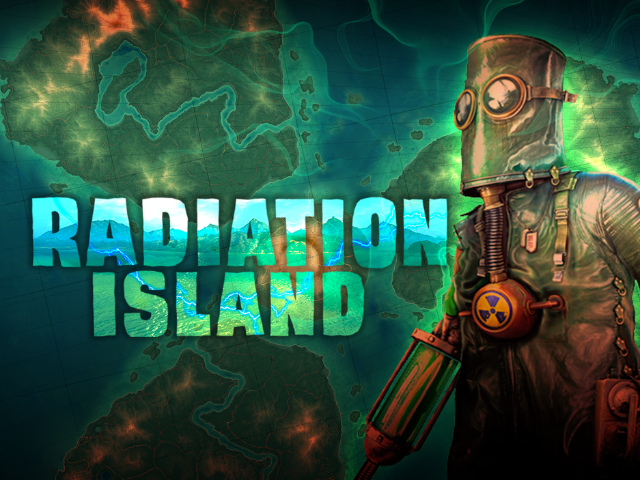 Radiation Island ($2.99 on iOS) – In this open-world survival adventure from Atypical Games, players find themselves stranded in an alternate reality, challenged with collecting anything they can to survive. Players will solve the island’s puzzles, and can explore seemingly abandoned villages and old military compounds while fighting off zombies and other enemies. Players can hunt or gather fruit to prevent starvation, will craft weapons and tools, and even have access to basic vehicles for easier transportation around the island. The download price of $2.99 is in celebration of the game’s launch, but this will increase to $4.99 at some point in the future. Epic Racers ($1.99 on iOS) – This underwater racing game from Ukranian developer, Playfo, gives players an upgradeable submarine, and challenges them to win races against 25 AI-controlled opponents. As players complete races, they’ll earn gold used to upgrade their submarine with better armor, greater speed and more. Players receive additional free gold by completing in-game achievements and daily quests. Jolly Join (Free on iOS) – Imperia Online’s level-based puzzle title is similar to games like Dots or Flow Free, as players are challenged with connecting alien creatures of the same color by drawing lines between them. Players can only create lines with up-to three straight segments and two turns, and additional challenge comes from level timers or move limits on some stages. Exit Strategy (Free on iOS) – This puzzle title from Chillingo challenges players to help an orb reach each level’s exit using portals. Players swipe on a cube to create an entry portal, and swipe again to create an exit portal for the orb, making sure to avoid any obstacles in the path to the exit. As levels become more complicated, players will need to watch out for lasers and moving pieces, or collect stars before actually reaching the exit. While players can retry stages as many times as necessary, a power-up system allows them to progress more quickly by removing obstacles, slowing down the orb’s movement and more. Top Eleven 2015 (Free on iOS, Android) – Nordeus has released the latest version of its football (soccer) management app on mobile. The game allows players to manage their own football club, controlling multiple aspects of its development, from their players’ tactics and transfers to club finances, stadium expansions and more. Various improvements are available in this newest version of the game, from new animations and 3D environments to a more difficult transfer negotiation system and faster team training and player selection. Endless Balance (Free on iOS) – Tapinator’s newest game is a sequel to 2014’s Balance of the Shaolin. Endless Balance challenges players to remain balanced on top of a tree as it grows endlessly toward the sky, with balance being maintained by tapping and/or holding on either side of the screen to lean. Obstacles, like bees, will appear on the screen at times, so players may need to tap with both fingers to jump over them, still without falling. Players can unlock multiple characters for play, including ninjas, a superhero and an astronaut. Additional characters, obstacles and power-ups will be added in future updates. LuckyPop (Free on iOS) – The latest game from SongPop creator, FreshPlanet, LuckyPop is a “clicker” title which encourages players to rapidly tap on a button to collect a currency called Luck. Players can spend Luck on gifts to send to their friends, which increase the other players’ passive Luck production. Players can receive their own gifts from friends, and will receive the occasional item from Botty, an AI friend, or from bonuses appearing on the screen every few moments. The ultimate goal of the game is to collect one of every gift, wonder and challenge item in the game, which is easier said than done. LuckyPop is also available to play for free on Facebook and Android.